I'm so sorry to keep all of you waiting for the recipe. 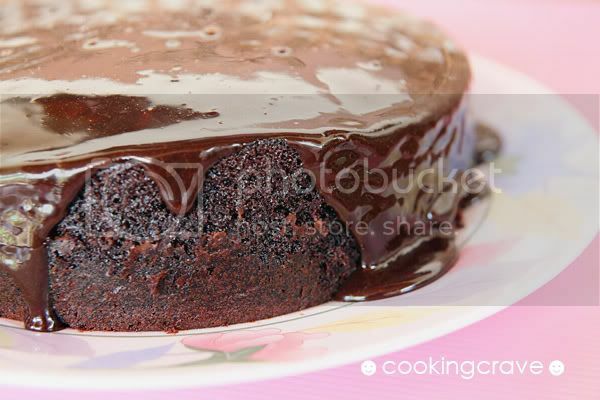 This chocolate moist cake are my son's favourite and he has been asking me to bake this cake for him several time. We doesn't need to have an oven to get this cake done, all we need is just a steamer and it taste just as good. It's easy to prepare as well. If I'm going to rate this cake, it should be 5 stars rating - very yummy!!! Combine caster sugar, evaporated milk, vanilla extract or essense and butter in a saucepan. Stir over low heat until sugar is dissolved and butter is melted, turn off the fire and keep warm. Add the beaten eggs into the slightly cold evaporated milk mixture and stir till well mix. Lined and greased a 8 or 9 inch round baking pan. Pour the batter into the lined pan and place the pan into the steamer and cover the top of the pan loosely with a piece of aluminium foil. Cover the steamer and steam over medium heat for 45 mins. Cool the cake in pan before turning out for further decoration. Combine the sifted cocoa powder, condense milk and oil. Stir over low heat till thicken. Add in salt and vanilla extract or essense. Cool the chocolate topping a little before spreading on the cake. 1. 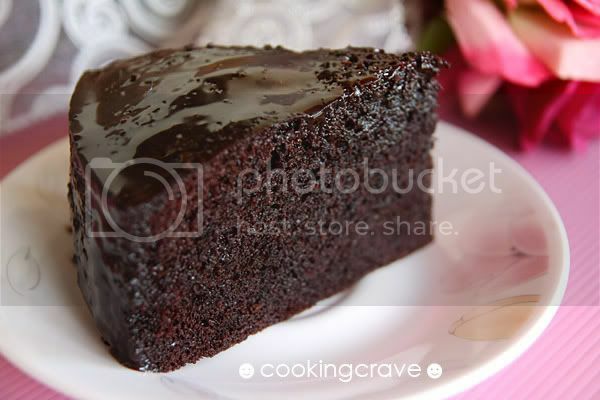 The sweetness of this cake are just nice, not too sweet and it's very chocolatey taste. 2. I did not line the cake pan, but i greased the pan generously with butter. Your cake makes me drooling. Hehe.. by the way wan to ask u some photography thingy. What camera you used ah for you food shots? Need to get some advice b4 i purchase one leh. wei friend...still busy? 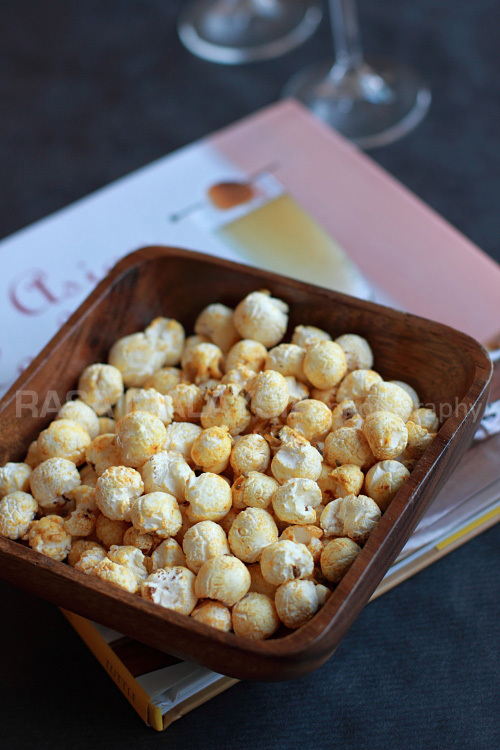 waiting for your recipe ler..
Yih Yann: This is yummy, u should try it! 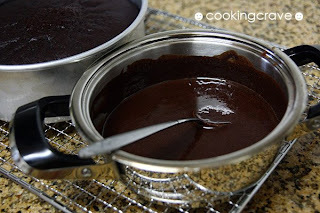 Alainely: Ya you can replace the corn oil with same amount of vegetable or sunflower oil for the chocolate fudge topping. Mmmmm...chocolate cake is my favorite! Looks really moist and delicious! Colin: You should try this..it's yummy! Use the good quality cocoa powder okay. Great cake... will definitely try it one day. Hi, how much is "200 g full cream evaporated milk " equal to how much cup or ml? OMG, this is heavenly good! Love it. Already salivating! Thanks for this yummy chocolate cake recipe. Did this yesterday & My family enjoy this very much. Thanks. I made this as well. Hi, thanks for the recipe! Can I use cake flour? Hi, thanks for the recipe, I made it, so delicious!! hi, may i noe is that we need to stir the egg mixture until it's stiff? 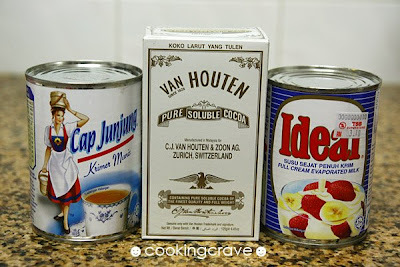 hi, can use condensed milk instead of evaporated milk?